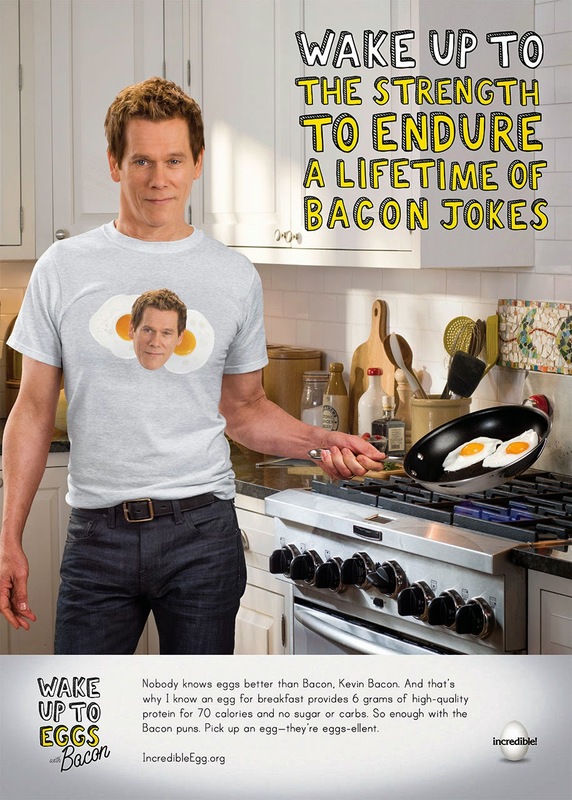 Nobody knows eggs better than Bacon, Kevin Bacon. Find out what Bacon knows by watching this web film entitled "Side of Kevin" from agency, Grey New York for the American Egg Board. "With a last name like Bacon, I'm the obvious choice, and I'm excited to be a part of the new Incredible Edible Egg campaign," Bacon says in a statement. "I like the creativity behind the idea, and I've always been a big fan of eggs. They're a nutritional powerhouse and I never get tired of them because there are so many ways you can eat them."